So some of you may already been familiar with Melissa from her blog Loving Life Moore or if you've been around the blogging world for awhile, you may even know her as I Swim for Oceans. Melissa and I have been blogging friends for a few years now and she has always been one of our biggest supporters. She is a super sweet mother of 2 married to a military man and currently living in Black River, New York. 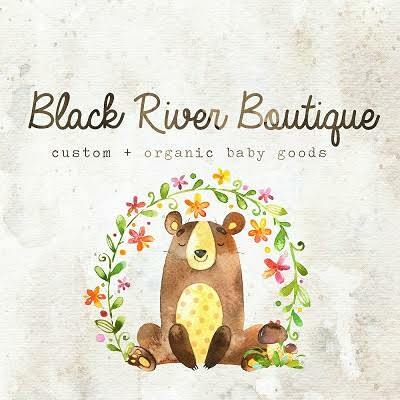 A little over a year ago she started Black River Boutique where she sells custom and organic baby goods like minky blankets, sensory blankets, teethers, burp cloths, bibdanas and more. She is so creative and all of her products are made with lots of love and are of great quality. 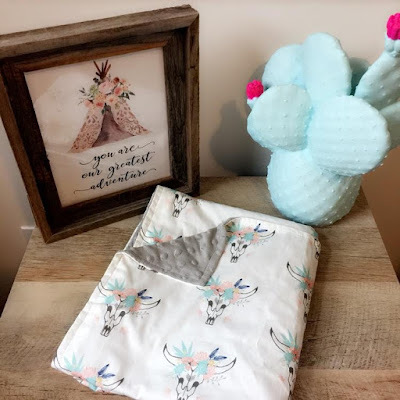 When we were in the beginning stages of our donor cycle I got my first ever minky blanket gifted to me from Melissa and I was so hopeful that I'd actually be able to use it one day, and now it sits in baby girls nursery waiting her arrival. Joe has even commented on how sweet of a gift it was and on how awesome the blanket felt. Now I have 3 of them and I seriously cannot wait to wrap up our beautiful bundle of joy and snuggle her to death in these soft blankets. You can find her on Instagram or you can go directly to her Etsy shop to browse all of her wonderful products. As a bonus she is offering free shipping to Baby Ridley Bump readers. Just use code LittleBabyRidley at check out now until 10/31! 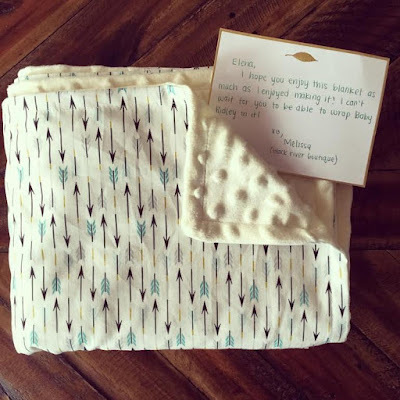 Melissa is so sweet, and i love those blankets! when i get round to having babies (hopefully) i will buy a blanket from her for sure. Melissa is POSITIVELY AMAZING!!! I just love how kind and giving she is. I have a few blankies and even some bibs from her too! Such a wonderful woman, thank you for sharing her!